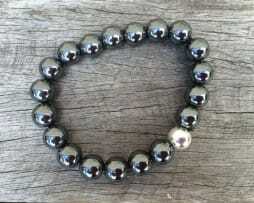 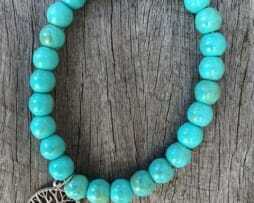 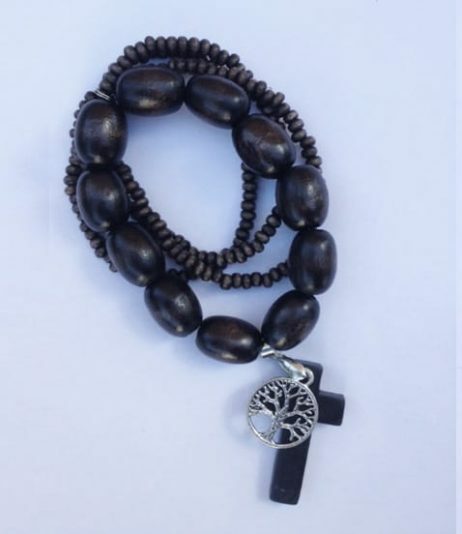 Our Multi-layered timber beaded bracelet has individual charm. 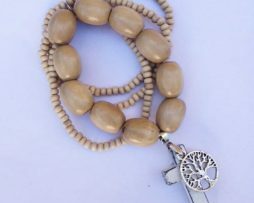 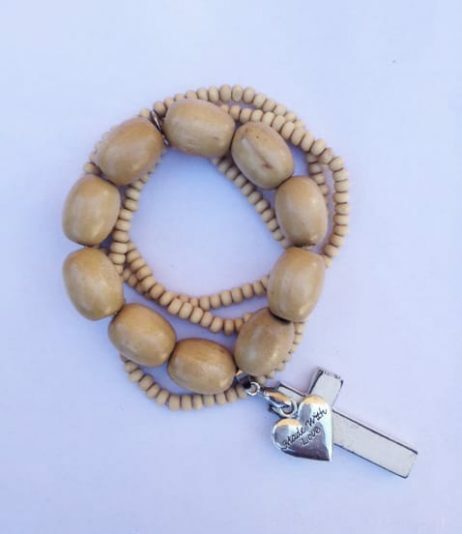 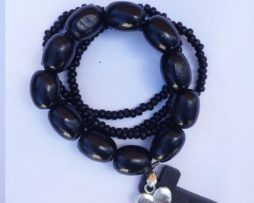 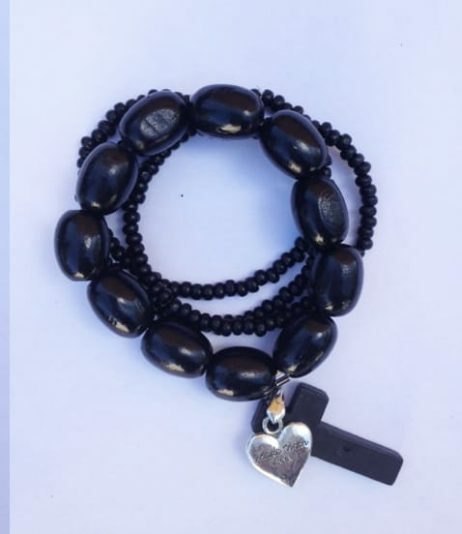 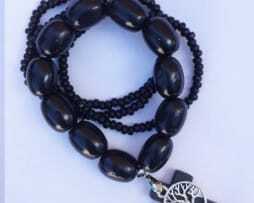 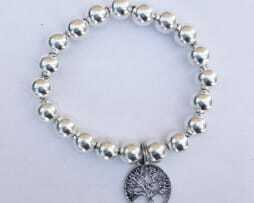 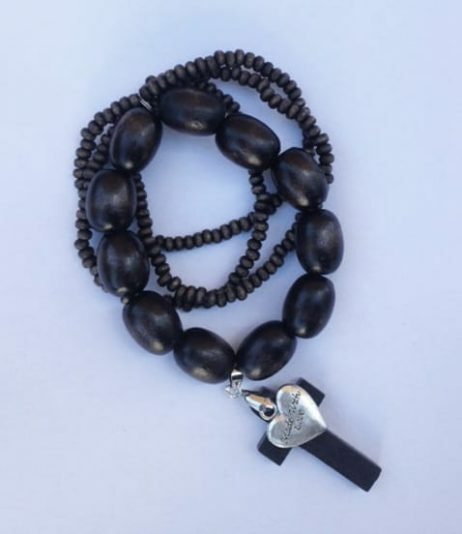 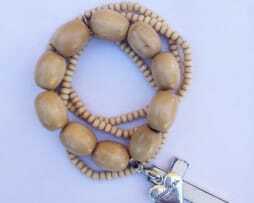 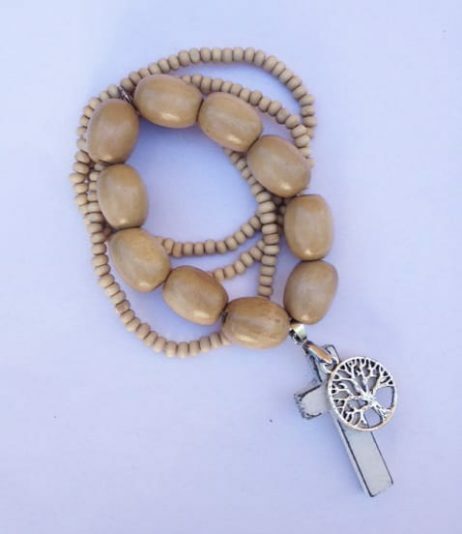 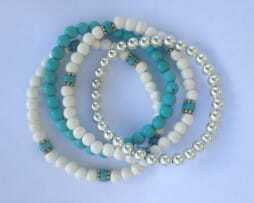 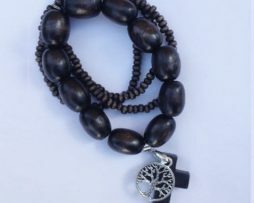 Made with quality products, it features one larger beaded bracelet and three smaller beaded bracelets, also featuring aÂ shabby timber cross and small pendant. 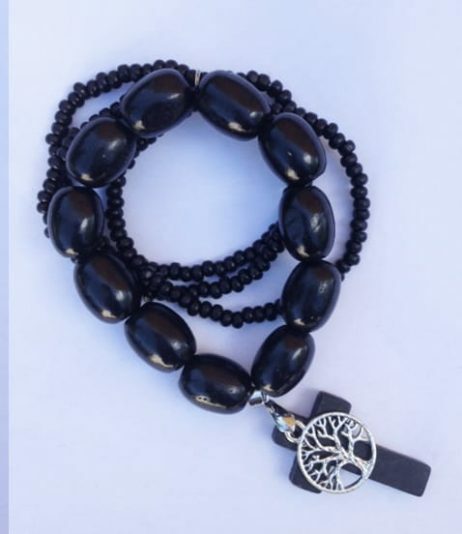 We stock the ‘Tree of Life’, ‘Made with Love’ Heart and our popular ‘St. 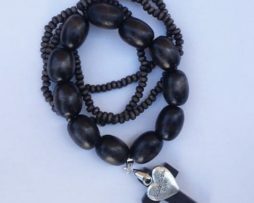 Benidict’ charm.